Attorney admitted to the Madrid Bar with twelve years of qualified experience. He has a wide experience as a competition law, commercial and litigation specialist, covering also other related areas, such as unfair competition, IP, data protection and trade regulation related issues. 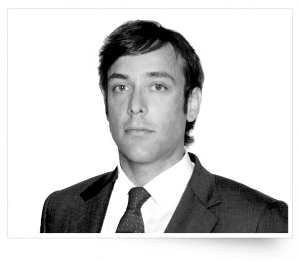 Prior to joining Callol, Coca & Asociados, Manuel was an associate at the EU & competition department of one of the largest law firms in Spain. Before that, he trained with a Spanish competition law boutique. Law Degree Universidad Autónoma (Madrid). LL.M in European and International Law, Université Catholique de Louvain (Belgium). Postgraduate Degree in Business law, Universitat Oberta de Catalunya (Spain). Languages: English, Dutch, French, German and Spanish. He is author of various specialist publications.